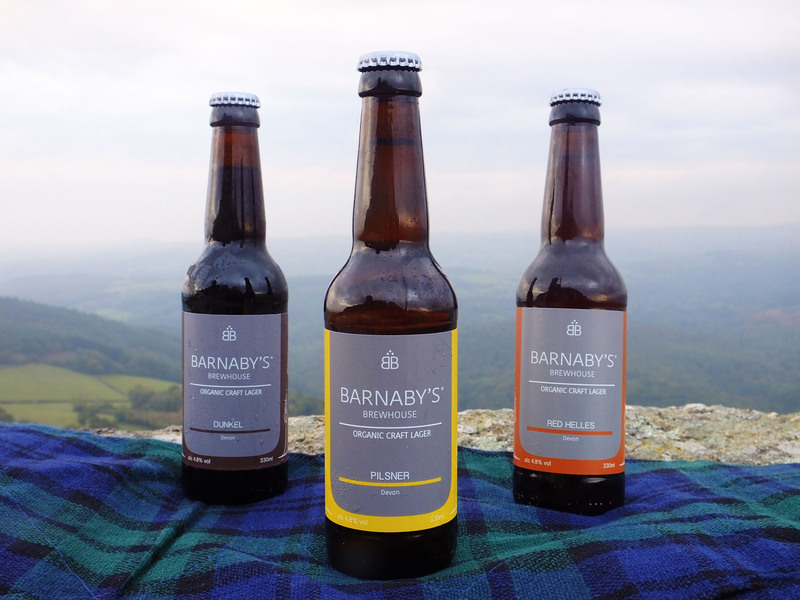 Barnaby’s Brewhouse had a great time at Buckfast Abbey food fair on Saturday. The day was made even more enjoyable as the beautiful and versatile singer Pippa Langhorne (of Britain’s Got Talent fame) performed a mix of songs from current day, rock n roll and Motown. 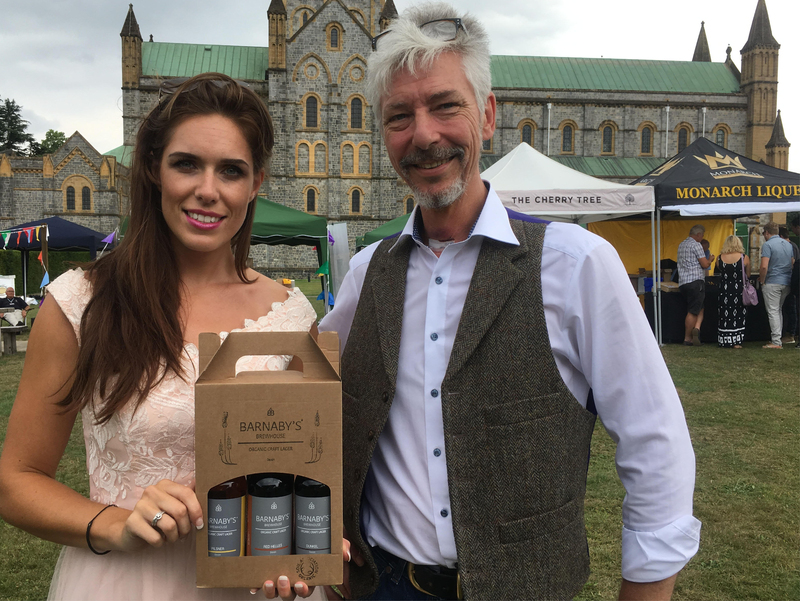 Above Pippa Langhorne pictured at Buckfast abbey holding her organic Barnaby’s gift pack, with Director Tim Stacey from Barnaby’s Brewhouse. 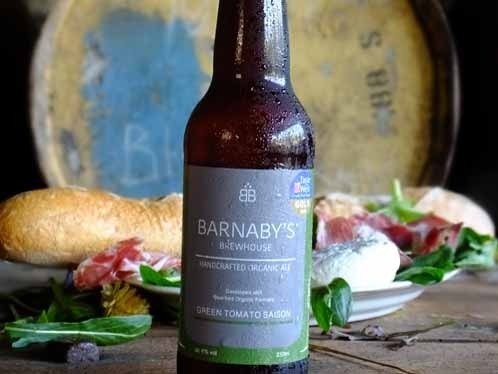 – Barnaby’s Brewhouse Gift Packs include Pilsner, Red Helles and a “Champion” Dunkel. Our Gift packs are available at food fairs throughout the year and can be customised for each customer.